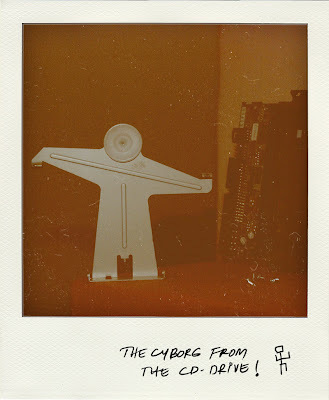 keedagiri: the cyborg from the CD drive!! the cyborg from the CD drive!! I was dismantling an old CD drive that I bought for 40 bucks from a 'raddi' shop... (well I actually bought it) and look who came out! !